Police in New Jersey and Pennsylvania are now using drug dogs more frequently during traffic stops to determine or confirm suspicions of illegal narcotics within a vehicle. Recently a drug dog search ultimately led to the arrest of former major league baseball player Estaban Loaiza who pled guilty to federal drug charges in California. During his plea the former all-star pitcher admitted that he possessed approximately 20 kilograms of cocaine with the intent to distribute (PWID), and he now faces a minimum of 10 years in prison and a maximum of life at sentencing on November 2nd. Like most of our law firm’s cases, Loaiza’s case started with police surveillance and he was arrested near his home which borders Tijuana, Mexico. During the vehicle stop, police used drug sniffing dogs because they had suspicion to believe that the SUV contained drugs. While it is unknown if police actually discovered a large amount of the drugs in his car, they did use the evidence from the vehicle to obtain a search warrant for the home which eventually led to his plea. 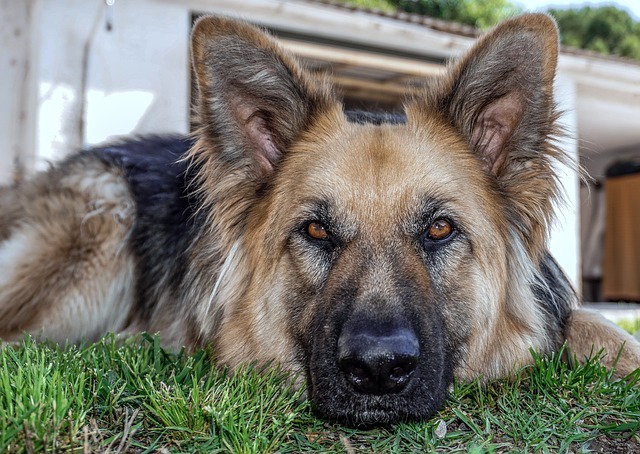 In Pennsylvania, police need reasonable suspicion to bring in a drug dog to conduct a canine sniff of the defendant’s vehicle following a traffic stop. Most people don’t understand and believe that police can use a dog without any type of suspicion that the car contains any type of contraband. As I’ve written in the past, reasonable suspicion is a lower form of probable cause but it doesn’t mean that police can act on a hunch or on some obscure reasoning. Reasonable suspicion requires articulable facts based on the officers’ training, education, and observations (sight, sounds, smells). If you’re stopped by police and they initiate an investigation which eventually leads to drug sniffing dogs, you should tell your attorney approximately how long it took for police to bring in the canine unit. The US Supreme Court has ruled that, while an initial traffic stop allows police to detain a car for a certain amount of time, if the duration of the stop becomes too long, police need additional reasonable suspicion to sustain it. In other words, police cannot hold you and begin what amounts to be a fishing expedition. Pennsylvania courts have ruled that a traffic stop which exceeds the normal time to issue a ticket or warning requires additional reasonable suspicion. Even if the driver appears nervous or overly apologetic to a police officer, this, in and of itself, does not constitute reasonable suspicion to allow a drug dog unit to begin a search. Timing, therefore, is very important during a vehicle traffic stop and most state, county, and local police cars are equipped with video recording devices which can show the exact amount of time it took from the stop until the arrest. Your attorney should take special note of this time because it can form a strong basis for a motion to suppress physical evidence in many drug, narcotic, and illegal gun or firearm cases in Pennsylvania and New Jersey. For more information on criminal defense strategies visit my free download section which contains my free books on criminal defense.